The iPhone and iPad maker will move 1400 staff from eight sites around the capital into what it calls “a new Apple campus” at the Grade II* listed former electricity generator. Apple is leasing 500,000 sq ft in total, making it one of the biggest single office deals signed in London outside the City and Docklands in the past 20 years. It has taken enough space for 3000 employees, giving it room to hire more as its operation grows in London. Its new campus will represent about 40% of the office space at the power station site and will occupy the top six floors inside the former boiler house. The deal is understood to have taken about a year to negotiate. It will be seen as a major symbolic boost for the Malaysian-backed regeneration amid concerns about stalling foreign investment in the vast Nine Elms development zone on the South Bank. 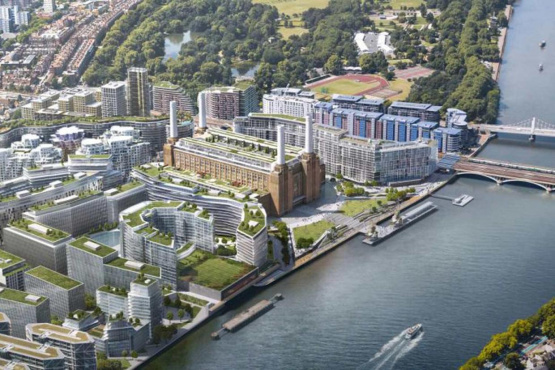 Mayor Sadiq Khan said: “I’m delighted Apple is moving into Battersea Power Station, helping to generate new jobs and economic prosperity for London.